Upgrade your bird this Thanksgiving! 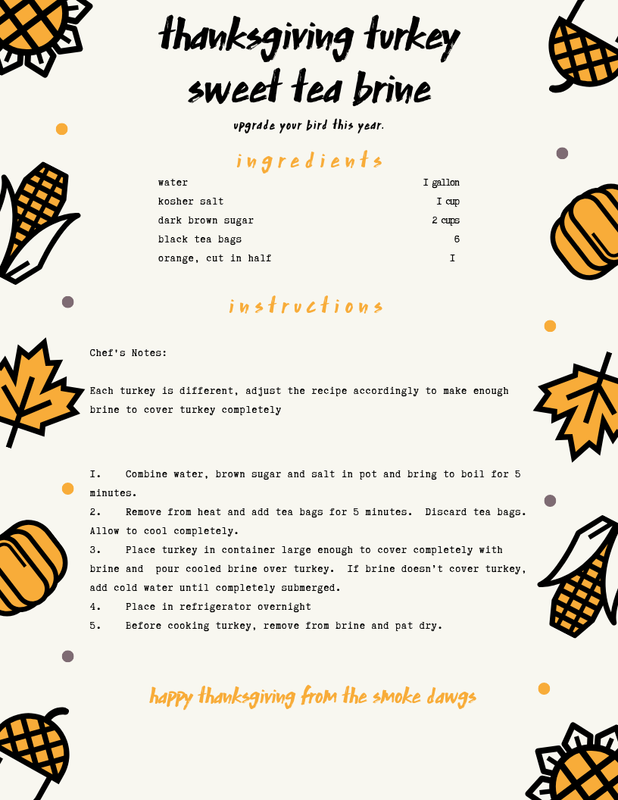 Use Chef Josh White’s recipe to sweet tea brine your thanksgiving turkey! We recommend brining your bird for 24 hours before you cook it for optimal “juicy”-ness. If you’re brining your bird with our recipe this year, take a pic and tag us on the ‘gram to be featured! @hickorysmokedgoodness ! Don’t forget to make turkey day fowl balls with your left overs!